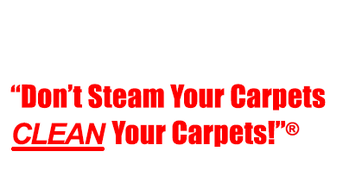 The experts at Denver Cleanpro have the technology and expertise to get your carpets clean as new. While you don't need to professionally clean your carpets daily, here is a bit of professional knowledge you can use day to day. First, you need to have the right tool: pick the perfect vacuum that will provide the power and features your carpet needs in order to be cleaned completely. Then, mark a few days a week on your calendar on which to schedule a vacuuming session. Doing it regularly (but not daily) will provide the best results. When the day to vacuum comes, prepare the area before starting. Remove all of the items that may be lying around on your floor (misplaced shoes, toys, etc.) to make the task a bit easier. Make sure your vacuum is spotless before you use it on your carpet. Empty the dust bag and clean the nozzles so the dirt in them won’t be transferred to your flooring. Thoroughness is key in this process: to lift the most dust from your floor, go over the same spot a couple of times slowly and in different directions. Likewise, clean under the furniture and use the different attachments to get the most dirt out. While you may be eager to clean your carpet, try to be gentle when you’re going over it. You shouldn’t vacuum on a daily basis to avoid overdoing it and damaging your carpet. Lastly, once you’re done with a particular room, walk backwards towards the exit and vacuum your footsteps away so you can have a spotless carpet. If you want to ensure that your carpet is free of any dust, stains, awful smells, or nasty little organisms, contact Denver Cleanpro. Pets add warmth and joy to your home, but they can also make it harder to keep your carpets cleaning. Luckily, the experts at Denver Cleanpro have some tips to share so that having a pet in your home and keeping your carpets clean doesn't have to be mutually exclusive. Dogs are a man’s best friend, but they can be a carpet’s worst enemy. They don’t have to be though; carpeting and pets can live in harmony, and Denver Cleanprowould like to let you know how. Follow these tips to make sure you can enjoy your pets company without sacrificing your beautiful carpeting. Vacuuming often, and vacuuming properly, is crucial to keeping your carpet clean. Not only will you remove any visible dirt brought in by your pet, but vacuuming also picks up all the microscopic dirt and dust that builds up in your carpet’s fibers and damages it over time. Removing pet hair can be a pain, but try brushing your carpet before vacuuming it to help lift the hair out and you should find it far easier. If your pet has an accident on your carpet or knocks over a drink, stop what you’re doing and attend to the problem straight away. Cleaning a spill or stain as soon as possible can mean the difference between a cleanable stain and a permanent one. Remove any solid waste, then carefully blot up any excess liquids with a clean white cloth before applying a mixture of equal parts white vinegar and water. Blot this up with another clean cloth, then vacuum the area thoroughly and leave it to dry. If the stain persists, repeat these steps until it’s gone. After taking your dog for a walk, make sure to wipe their paws when re-entering your home. Keep some old towels by the door and it will soon become second nature. If you have a cat, make sure to put a mat down in front of any catflap or door they regularly use in order to catch any dirt or mud they might bring in with them. It’s no surprise that washing your pets decreases the amount of dirt they spread around your home. It’s a good idea to wash dogs at least once a fortnight and whenever you notice they are particularly dirty, perhaps after a walk in bad weather. Cats are a lot cleaner and more independent, but if you notice that your cat is dirty don’t be afraid to give them a bath! If your carpet has suffered at the hands, or paws, of your pets, hiring an expert can really help breathe new life into it.